Posted by Thanh Tran on August 28, 2012. 1 min read. 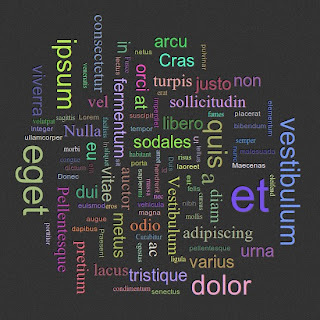 This is a direct port of my AS3 Wordle Tag Cloud to HTML5. Please read my old blog post for some background. Thanks to Canvas' RenderingContext2D.measureText(), I can calculate size of the words off browser's stage. Initially, I was using Canvas as rendering stage for the tag cloud. However, it demands extra work to make the words interactive. So I decided to use normal block text with CSS3's transform/rotate. The result is texts are searchable and out-of-the-box hyperlinks. The position checking process may cause browser hang momentarily if run through all of the words. I have split the process of each word into each RequestAnimationFrame to avoid the script hang. There you go! Check out the live demo and source code.